If you suffer from crepey skin or dryness, it’s worth considering adding skin hydrator treatments – one of the best-kept secrets of the beauty world – to your routine. Injectable hydrators are made from tiny molecules of a gel-like substance, which are distributed under your skin via tiny injections. Once in place they draw and then hold moisture, increasing hydration and improving the overall quality of your skin. The result? Firmer, fresher, more youthful-looking skin. Skin hydrators are effective used alone or as part of a treatment plan incorporating other cosmetic injectables, and are suitable for improving both men’s and women’s skin. Common treatment areas include the face, décolletage and hands. All cosmetic injectable consultations are complimentary. *Cosmetic treatments are a prescription medicine. For treatment risks and benefits please contact one of our experienced Cosmetic Injectors at a clinic location near you, or visit http://medsafe.govt.nz/ for further information. IMPORTANT INFORMATION: Restylane is an unfunded Treatment that you pay for. Ask your Doctor if Restylane is right for you. Normal Doctors charges apply. Restylane is an injectable intradermal implant containing Hyaluronic acid, stabilized 20 mg/ml. Restylane is used for facial tissue augmentation and lip enhancement. Restylane should only be injected by your doctor. Tell your doctor if you have a bleeding disorder or if you are being treated with blood thinning medicines, or any other medicines you are taking. Precautions: Allergy to Hyaluronic acid or any active ingredients. Restylane should not be used where there is active skin disease, inflammation or related conditions. Do not use if pregnant or breastfeeding, or in children. Avoid intense heat or cold after treatment until swelling and redness have resolved. Side effects: common injection-related reactions might occur, including redness, swelling, pain, itching, bruising, tenderness or lumpiness at the implant site. Typically, these resolve in a few days to a week. Tell your doctor if you experience any side effects. For further information ask your doctor. Q-Med c/o Pharmacy Retailing (NZ) t/a Healthcare Logistics, Auckland 0800 174 104. The JUVÉDERM® range of injectable gels are medical devices for use in adults. JUVÉDERM® ULTRA XC and JUVÉDERM® ULTRA PLUS XC contain 24mg/mL cross-linked hyaluronic acid with lidocaine 3mg/mL. JUVÉDERM® ULTRA XC is for filling medium-sized depressions of the skin as well as for lip definition. JUVÉDERM® ULTRA PLUS XC is for filling mid and/or deep depressions of the skin as well as for lip definition and enhancement. All JUVÉDERM® products should be administered only by a trained healthcare professional. JUVÉDERM® ULTRA XC and JUVÉDERM® ULTRA PLUS XC™ should not be injected into the eyelids. You should not receive treatment with any JUVÉDERM® product if you are below 18 years of age, have untreated epilepsy, history of hypertrophic scars or porphyria, or if you are pregnant or breastfeeding, hypersensitivity to ingredients including hyaluronic acid, lidocaine or amide-type local anaesthetics, any areas of cutaneous inflammation and/or infections, or if you have just had laser treatment, deep chemical peel or dermabrasion. 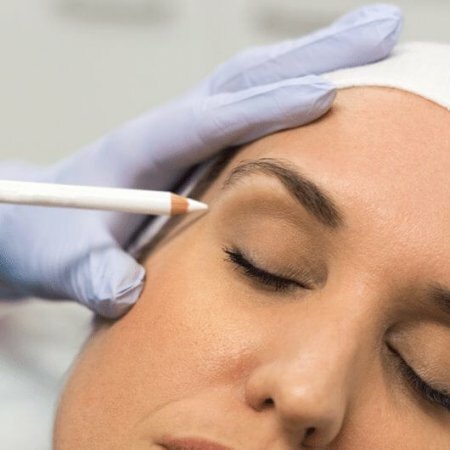 Precautions: Caution is required if you have received treatment with another dermal filler; if you have a history of or are currently suffering an auto-immune disease, severe multiple allergies, anaphylactic shock, streptococcal disease, symptoms of cardiac conduction disorders; or if you are taking certain medications including anti-coagulants or certain drugs that reduce/inhibit hepatic metabolism. Avoid makeup for 12 hours after injection and prolonged exposure to sunlight/UV light/extreme temperatures for 2 weeks. Adverse effects reported after treatment with JUVÉDERM® range of fillers have included immediate or delayed injection site inflammatory reactions (redness/swelling/ itching/pain on pressure) persisting a week post treatment, haematomas, induration or nodules, discolouration, weak filling effect, risk of infection, abscess formation, granuloma, necrosis or hypersensitivity. Please ask your doctor or request for the Directions For Use for complete list of precautions and adverse effects per respective filler. JUVÉDERM® injectable gels are not funded on the New Zealand Pharmaceutical Scheme. You will need to pay for this treatment. Normal Doctors visit fees apply. Speak to your specialist about your own situation and about the benefits/ risks of this procedure in appearance medicine. If you have any side effects or concerns speak to your doctor. Note: JUVÉDERM® treatment may last up to 1–2 years and further courses of treatment may be necessary. (September 2018). ®Trademark(s) and registered trademark(s) of Allergan, Inc. Allergan Australia Pty Ltd. 810 Pacific Highway, Gordon NSW 2072. ABN 85 000 612 831. Allergan New Zealand Limited, Auckland. © 2018 Allergan. All rights reserved. Date of preparation: October 2018 ANZ/0104/2017.